If the Liberal leadership upheaval was a Muppet show, as Scott Morrison described it, Rupert Murdoch and Kerry Stokes have been revealed as its Statler and Waldorf. Muppets fans will remember the two cantankerous old men who heckled from the sidelines. The media moguls did not heckle publicly, but their behind-the-scenes barracking was reflected in their media. Yesterday (18 September), Andrew Probyn reported for the ABC on conversations the two media proprietors had with each other and with Malcolm Turnbull. Most attention has been paid to Murdoch’s statement to Stokes that Malcolm has to go. There is a yawning vacuum in the story though as to why Murdoch thought this. What was Turnbull’s mortal sin in Murdoch’s eyes? 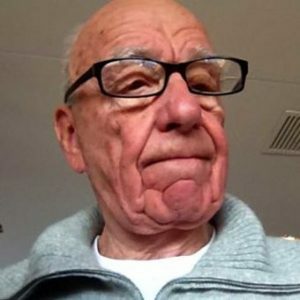 The original Rupert Murdoch twitter profile image. Joakim Jardenberg. flickr cc. In my view, though, as revealing as their purported power, is the proprietors’ incompetence. They are revealed to have very definite but quite crude views of Australian politics. West Australian Stokes was fearful that Queenslander Peter Dutton would undo the GST deal that had been passed in Cabinet apparently despite Dutton’s opposition. He also said he feared a Liberal leadership change would usher in a Shorten Government and he feared the union power it would give the CFMEU, surely more of a Liberal propaganda line than realistic political analysis. Murdoch reportedly replied with a certainty that can have no basis in reality that Labor would only be in for one term – unlike every other Federal government since World War II. He then apparently added, “It won’t be so bad. I did alright under Labor and the Painters and Dockers. I can make money under Shorten and the CFMEU”. The Painters and Dockers union thrived especially during the Fraser years, with its criminal elements aiding in bottom of the harbor tax schemes. By the time Hawke was elected in 1983, the Costigan Royal Commission had punctured most of its power. If Murdoch said this, it is a telling symptom of a faltering memory. Stokes’s media contributions were successive front page editorials in the West Australian, the first day endorsing Morrison to replace Turnbull, the second day endorsing Julie Bishop. These ineffectual efforts flowed from his succumbing to the view that his first choice, Turnbull, was finished. He seems to have been stampeded into this view, perhaps by Murdoch, perhaps others. The leadership coup against Turnbull was notable for the blatantly partisan efforts of sections of the media. Perhaps the most blatant were 2GB’s Alan Jones and Ray Hadley, who were activists in the pro-Peter Dutton, anti-Malcolm Turnbull putsch. Then there were the team – Peta Credlin, Andrew Bolt etc – from Sky News at night. Remember how in 2012 Kevin Rudd and the Murdoch press were urging that Sky, rather than the ABC, should be Australia’s international broadcaster. What an international embarrassment that would now be, if it had come to pass. The final part of the arsenal came from the news priorities and columnists’ commentary of the Murdoch press. 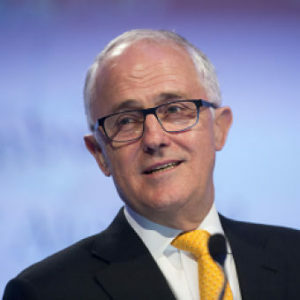 Turnbull, according to Probyn’s report, was so worried by this that he rang Murdoch asking whether the Murdoch press was gunning for him… No, he said, although he was not responsible for what ‘Boris’ (the Australian’s editor Paul Whittaker) might be doing. The leadership coup had several notable features, including the failure of the Dutton forces to do their numbers properly. Another was the intense involvement of sections of the media. A third was how out of touch with public opinion it was, evidenced by the 56-44 two party vote in the first Newspoll after the change. Rather the anti-Turnbull echo chamber created its own reality, a reality that new leader Scott Morrison still finds impossible to explain to the public. The Liberals’ best two public assets – Turnbull and Bishop – are no longer on the scene. Others have had their public reputations diminished – Dutton, Matthias Corman, and others on the conservative wing. Now add to the list Murdoch and Stokes. Rodney Tiffen’s two most recent books are Rupert Murdoch. A Reassessment (2014), and Disposable Leaders. Media and Leadership Coups from Menzies to Abbott (2017). Republished from John Menadue’s blog 19 September 2018, Pearls & Irritations.